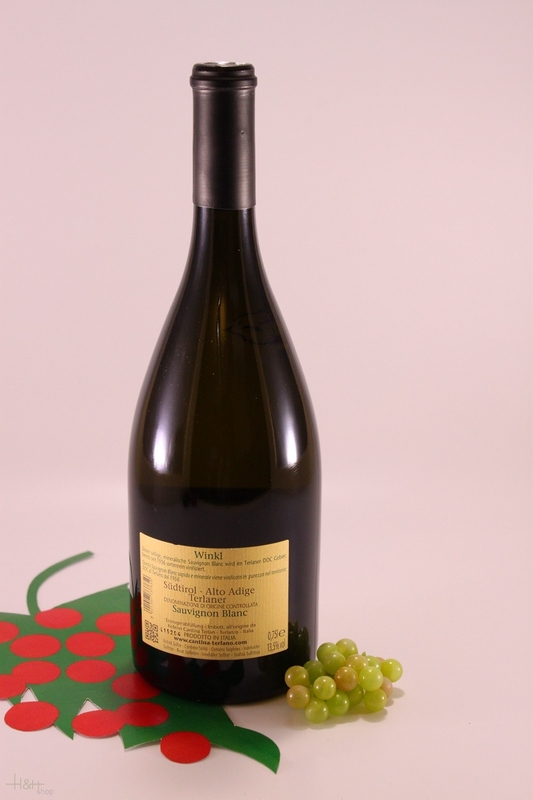 Terlano Vineyards is particularly renowned for its white wines, which are fruity, with big body, full complexity and longevity. "Doctorwine" has rated the wine "Cantina Terlano-Kellerei Terlan 'Winkl' Sauvignon Terlano, Trentino-Alto Adige, Italy" the vintage 2015 on 22.11.2016 with 94 of 100 points.
" A wine made Sauvignon Blanc grapes that ages for 5-7 months on the lees, 80% in stainless steel and the rest in large wood barrels. This has an intense straw color with light, green reflections. The bouquet is intense, aromatic and slightly smoky with fruity notes of tangerine and tropical fruit, nettles and elder along with a floral hint. The mouthfeel is rich yet taut and fresh, saline and with a long, almost spicy finish. " "Vinous Antonio Galloni" has rated the wine "Cantina Terlano-Kellerei Terlan 'Winkl' Sauvignon Terlano, Trentino-Alto Adige, Italy" the vintage 2015 on 01.05.2016 with 93 of 100 points. "Wine Enthusiast" has rated the wine "Cantina Terlano-Kellerei Terlan 'Winkl' Sauvignon Terlano, Trentino-Alto Adige, Italy" the vintage 2014 on 04.01.2016 with 86 of 100 points. "Wine Spectator" has rated the wine "Cantina Terlano-Kellerei Terlan 'Winkl' Sauvignon Terlano, Trentino-Alto Adige, Italy" the vintage 2014 on 31.12.2015 with 91 of 100 points. "Falstaff Magazin" has rated the wine "Cantina Terlano-Kellerei Terlan 'Winkl' Sauvignon Terlano, Trentino-Alto Adige, Italy" the vintage 2014 on 14.09.2015 with 91 of 100 points. "Falstaff Magazin" has rated the wine "Cantina Terlano-Kellerei Terlan 'Winkl' Sauvignon Terlano, Trentino-Alto Adige, Italy" the vintage 2013 on 24.06.2014 with 89 of 100 points. "Wine Spectator" has rated the wine "Cantina Terlano-Kellerei Terlan 'Winkl' Sauvignon Terlano, Trentino-Alto Adige, Italy" the vintage 2011 on 31.05.2014 with 90 of 100 points. 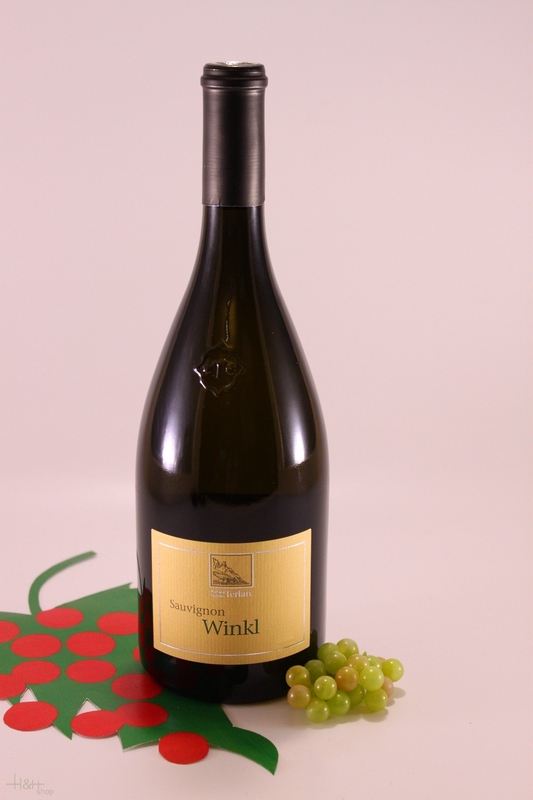 "Falstaff Magazin" has rated the wine "Cantina Terlano-Kellerei Terlan 'Winkl' Sauvignon Terlano, Trentino-Alto Adige, Italy" the vintage 2012 on 25.06.2013 with 89 of 100 points. "Luca Gardini" has rated the wine "Cantina Terlano-Kellerei Terlan 'Winkl' Sauvignon Terlano, Trentino-Alto Adige, Italy" the vintage 2011 on 02.11.2012 with 88 of 100 points. "Vinous Antonio Galloni" has rated the wine "Cantina Terlano-Kellerei Terlan 'Winkl' Sauvignon Terlano, Trentino-Alto Adige, Italy" the vintage 2010 on 01.02.2011 with 92 of 100 points. "Vinous Antonio Galloni" has rated the wine "Cantina Terlano-Kellerei Terlan 'Winkl' Sauvignon Terlano, Trentino-Alto Adige, Italy" the vintage 2009 on 01.02.2011 with 91 of 100 points. "Wine Enthusiast" has rated the wine "Cantina Terlano-Kellerei Terlan 'Winkl' Sauvignon Terlano, Trentino-Alto Adige, Italy" the vintage 2009 on 11.01.2010 with 88 of 100 points. "Vinous Antonio Galloni" has rated the wine "Cantina Terlano-Kellerei Terlan 'Winkl' Sauvignon Terlano, Trentino-Alto Adige, Italy" the vintage 2008 on 01.10.2009 with 89 of 100 points. "Wine Spectator" has rated the wine "Cantina Terlano-Kellerei Terlan 'Winkl' Sauvignon Terlano, Trentino-Alto Adige, Italy" the vintage 2008 on 31.08.2009 with 89 of 100 points. "Wine Spectator" has rated the wine "Cantina Terlano-Kellerei Terlan 'Winkl' Sauvignon Terlano, Trentino-Alto Adige, Italy" the vintage 2007 on 31.08.2008 with 90 of 100 points. "El Mundo Vino" has rated the wine "Cantina Terlano-Kellerei Terlan 'Winkl' Sauvignon Terlano, Trentino-Alto Adige, Italy" the vintage 2007 on 28.07.2008 with 15 of 20 points. "Wine Spectator" has rated the wine "Cantina Terlano-Kellerei Terlan 'Winkl' Sauvignon Terlano, Trentino-Alto Adige, Italy" the vintage 2006 on 15.11.2007 with 90 of 100 points. "Wine Enthusiast" has rated the wine "Cantina Terlano-Kellerei Terlan 'Winkl' Sauvignon Terlano, Trentino-Alto Adige, Italy" the vintage 2006 on 12.01.2007 with 89 of 100 points. "Wine Spectator" has rated the wine "Cantina Terlano-Kellerei Terlan 'Winkl' Sauvignon Terlano, Trentino-Alto Adige, Italy" the vintage 2003 on 31.03.2005 with 90 of 100 points. "Wine Enthusiast" has rated the wine "Cantina Terlano-Kellerei Terlan 'Winkl' Sauvignon Terlano, Trentino-Alto Adige, Italy" the vintage 2001 on 07.01.2003 with 89 of 100 points. "Wine Enthusiast" has rated the wine "Cantina Terlano-Kellerei Terlan 'Winkl' Sauvignon Terlano, Trentino-Alto Adige, Italy" the vintage 2000 on 08.01.2002 with 89 of 100 points. "CellarTracker" has rated the wine "Cantina Terlano-Kellerei Terlan 'Winkl' Sauvignon Terlano, Trentino-Alto Adige, Italy" the vintage 2015 with 90 of 100 points. "CellarTracker" has rated the wine "Cantina Terlano-Kellerei Terlan 'Winkl' Sauvignon Terlano, Trentino-Alto Adige, Italy" the vintage 2006 with 90 of 100 points.